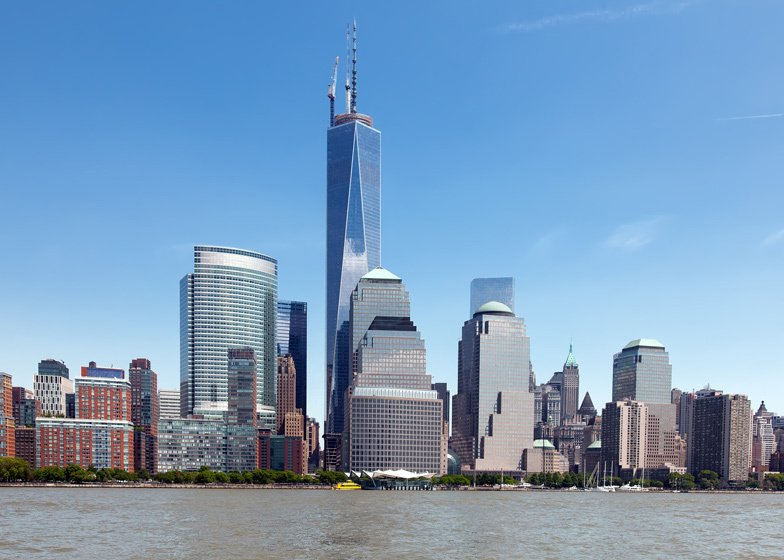 News: One World Trade Center in New York has been officially declared tallest building in the western hemisphere, following a debate over whether the spire can contribute to its overall height. The skyscraper, designed by American firm Skidmore Owings & Merrill (SOM), topped out earlier this year at a height of 541 meters, overtaking Chicago's 442-metre Willis Tower as America's tallest structure, but the claim was called into question after supporters of the former Sears Tower complained that the spire is nothing more than an antenna and shouldn't be included. But tall buildings expert The Council on Tall Buildings and Urban Habitat has now verified the height and ruled that the building's claim is correct, making it the third-tallest skyscraper in the world. The decision was made by the 25 members of the council, following a presentation by David Childs and Ken Lewis of SOM that included a examination of design and construction drawings. "We were very satisfied with the detailed information presented by the team, in particular, that which affirmed that the structure on top of the building is meant as a permanent architectural feature, not a piece of functional-technical equipment," said CTBUH chairman Timothy Johnson. One World Trade Center was deliberately designed with a height of 1776 feet to commemorate the year of America's independence and it located in the north-west corner of the site where the former World Trade Center towers were destroyed in the 11 September 2001 attacks. 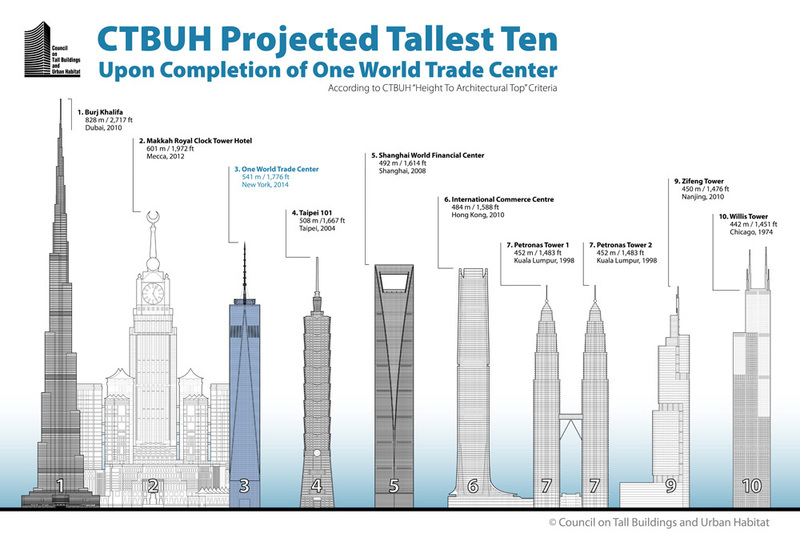 "The design of One World Trade Center, as explained to us, reinforces its role as a symbol of resurgence on this important site," commented CTBUH executive director Antony Wood. "In particular the spire, which holds the beacon light, shining out at the symbolic height of 1776 feet, is especially poignant - echoing the similarly symbolic beacon atop the Statue of Liberty across the water." In the original design by architect Daniel Libeskind, the mast at the top of the tower was set to be covered with the same cladding as the rest of the building. The removal of the cladding came after SOM was appointed, prompting a row over whether it could be called a spire - a vertical element that completes the architectural expression of the building, or simply an antenna - a piece of technical equipment that can be removed at any time. Without the mast, the building would only measure 1368 feet (417 metres). One World Trade Center is scheduled for completion early next year, after which it will be officially named third-tallest building in the world behind the 828-metre Burj Khalifa in Dubai, also designed by SOM, and the 601-metre Makkah Royal Clock Tower in Mecca, Saudi Arabia. Photography of One World Trade Center is courtesy of Shutterstock.